/ticket, /gm, /гм; - GM frame. /hb - binding buttons on mouseover. /wf - Quest tracker mover. 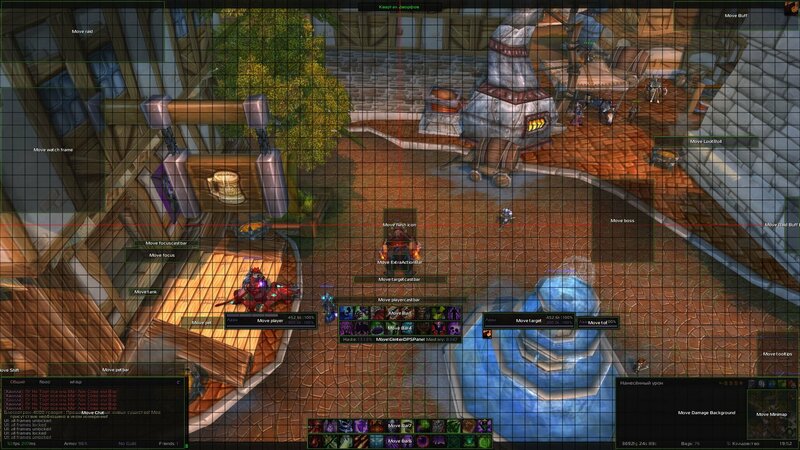 /frame - Command to grab frame information when mouseing over a frame. /config - In-game UI config. 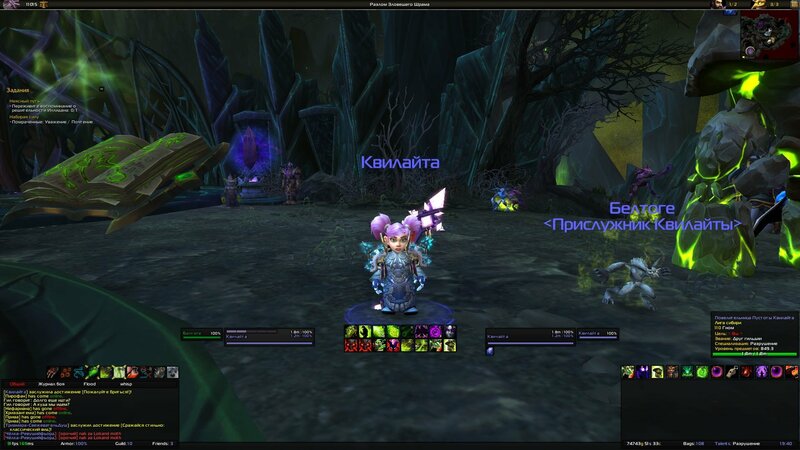 /ui - ingame command for change all UI positions. /ui reset - Set default UI positions. 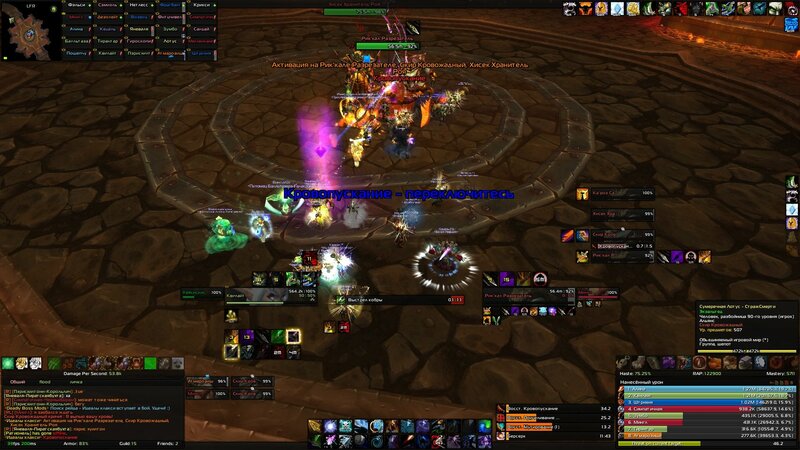 QulightUI - It is the main addon and it includes - dNamePlates, Stuffing, FreebTip, m_Buff, omniCC, Class Timer, rActionBarStyler, Datatext(Bags, Durability, Friends, Gold, Guild, System, Time), qMinimap, qChat, ncHoverBind, oUF+oUF_Qulight, Filger, aLoad, MarkBar, Mapster, qChatBar, raidUtility, tullaRange, m_Loot, ncCooldownFlash, aMail, Reminder, RaidBuffReminder, BigWigs_skin, DBM_skin, DXE_skin, KLE_skin, Omen_skin, PallyPower_skin, Quartz_skin, Recount_skin, Skada_skin. Qulight_ConfigUI - in game configuration. 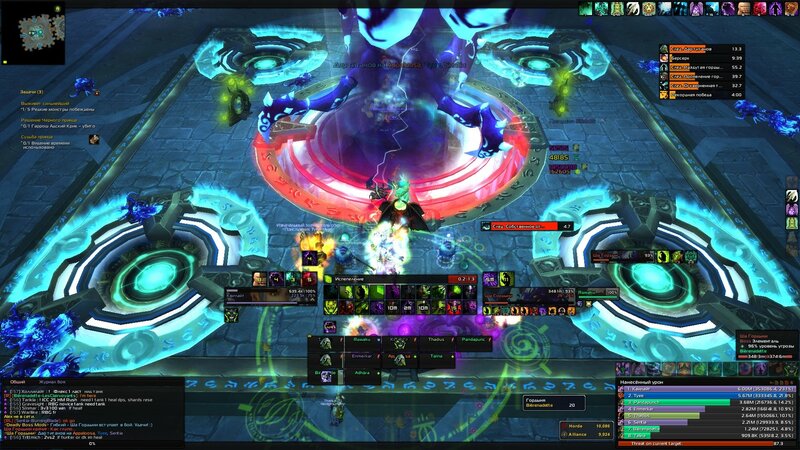 Aurora - is an addon which reskins the default Blizzard frames to a smooth, minimalistic theme which is consistent across the entire UI. Recount, Omen, KLE, DXE, BigWigs, Quartz, Skada, DBM, Pally Power are NOT included in this UI package, it will simply reskin the addon if you have it running, you need to download and update the addon on your own. What's wrong with the newest version? I don't play all the classes but have been working to try to fix any issues I find. There are some things that I had to disable in the code because I can't get them working. lua errors all the time. And pay attention to the pet bar, icons are not displayed, ifilger does not display all that I need, for example, I would like to track stacks of Frenzy (beast master hunter) and beast cleave. Not showing debuffs on nameplates (or I did not find in settings how to turn on) In my UI (elvui+ifilger) in the settings menu to add Id buffs and debuffs I want to track. i have two problems, lua error with objective tracker and unit buffs. Anyone can help me? You know we have jobs and stuff too, right? I've been contributing to helping get this updated for BFA, and I know we've all spent more than a work weeks worth of time trying to get this working for you guys. This is a great UI, and we want to make it work well, but we have other commitments, and we gotta pay the bills too. My favorite interface for years, TY! Last edited by Dwnldedskill : 11-07-18 at 04:02 PM. Hello! Is there any chance this addon will be updated for BfA? I'm getting the same errors as the ones posted below. I just play with the errors anyway, but the chat spam about too many UI errors kind of makes it hard to do group content. It seems like the error makes health bars not update correctly on all unit frames so I've been looking at the health numbers instead. До сих пор WOW пишет, что атдон устарел. Панели персонажей сдвинулись, не отображается здоровье, заряды, руны и пр. Корректно отображается только процент маны. Фреймы в рейде тоже не функционируют не показывает недостающее здоровье и входящее исцеление. И много-много ошибок их подсчет идет с геометрической прогрессией. По итогу выходит панель о том, что слишком много ошибок в данной модификации и советуют ее отключить. (*temporary) = "attempt to perform arithmetic on field 'timeLeft' (a string value)"
Last edited by vi64RUS : 07-23-18 at 01:02 PM. Last edited by taikuri : 07-19-18 at 10:37 AM.